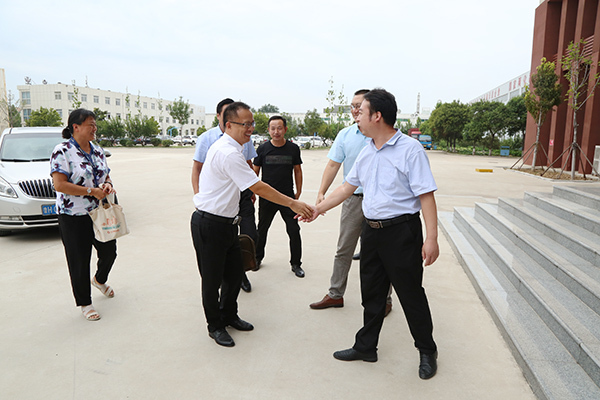 On the afternoon of September 5, Director Jin of the Planning Bureau of Jining City, Director of the Planning Bureau of Gaoxin District, and Director of the Planning Department of the High-tech Zone Planning Bureau, Mr. Jiang Kechang and his party visited Shandong China Transpor to conduct an investigation and study on the development of the “510” engineering enterprises in the city. 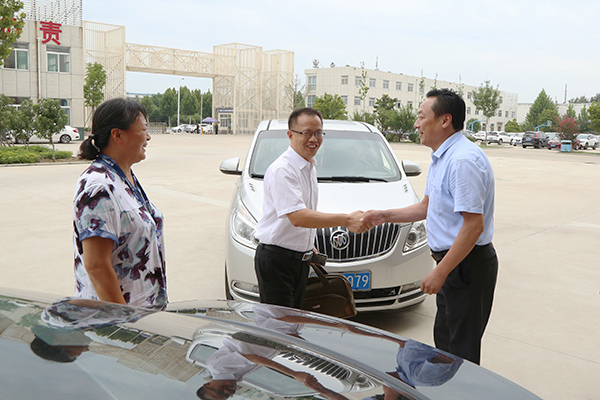 China Transpor Deputy General Managers Han Yong and Fan Peigong, Director of The Office Zhukun accompanied the reception. 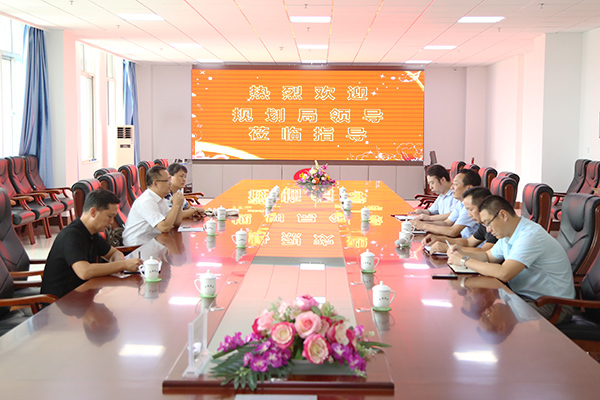 Accompanied by General Manager Han, the visiting delegation visited the China Transpor office building, the group culture exhibition hall, the e-commerce company, the cross-border e-commerce company, the network information company, the software technology company, etc. 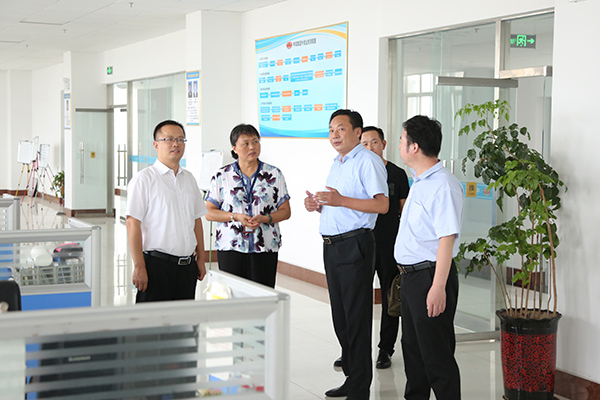 During the visit, China Transpor Deputy General Managers Li Zhenbo Our group made a detailed report to the visiting leaders through the development of e-commerce to promote the transformation of new and old kinetic energy, and was fully affirmed by the visiting leaders. At the symposium, Director Tian stressed that as a company in the “510” project of Jining City, China Transpor hopes to be a leader in attracting investment, attracting talents, technological innovation, technological transformation, and enterprise management innovation, especially to fully Taking advantage of its own technology, brand, market, resources and other advantages, the integration will drive Jining City enterprises to accelerate development, and make due contributions to the city's new and old kinetic energy conversion! As a pilot enterprise of e-commerce innovation in the Ministry of Industry and Information and a new information consumption demonstration enterprise of the Ministry of Industry and Information Technology, in recent years, with the outstanding advantages in the e-commerce information industry, China Transpor adheres to the development strategy of “manufacturing and Internet integration” and vigorously develops the industrial supply chain. E-commerce, fully promote the transformation and upgrading of traditional enterprises, successfully transformed from the traditional sales model to the modern e-commerce sales model, and became an industry model for the successful transformation of traditional enterprises through the e-commerce information industry. In terms of the establishment of e-commerce platform, China Transpor independently developed and operated six major e-commerce platforms, of which cross-border B2B e-commerce platform billion mine network was listed as a key support project for cross-border e-commerce by the Ministry of Industry and Information Technology to promote innovation in traditional manufacturing. Development, transformation and development, sustainable development and the development of new and old kinetic energy of enterprises have made positive contributions. Mr. Han said that thanks to Director Tian and Director Wang for their high evaluation of the development achievements of China Transpor, we must firmly grasp the major development opportunities of the new and old kinetic energy conversion, give full play to the demonstration role of advanced models, and rely on our group in the modern information industry and intelligence. The comprehensive advantages of equipment, software R&D and other fields will promote the innovation transformation and sustainable development of relevant industries in the city, and contribute more power to the transformation of new and old kinetic energy in the city!